I believe that what we have here is complete disregard for the art. Hey, these pillows appear on season 4 of Quilting Arts TV, not to mention their foray into Cloth Paper Scissors. 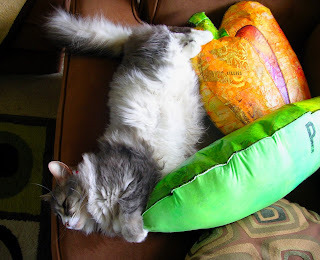 "Your pea is very comfortable but the pepper is crowding my style."